Assawoman Island is in Virginia, USA on the peninsula of land between the Chesapeake Bay and Delaware Bay. Like many of the world’s barrier islands, Assawoman Island has been migrating landward for decades. Evidence for this can be found in the sea shells on the beach, multiple overwash fans (both pictured), and the occurrence of marsh mud balls on the beach. 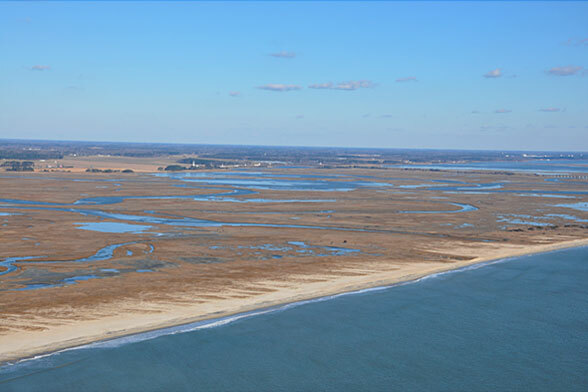 This overwash fan formed during a storm when a low point in the dune line allowed storm waves to overtop the island and cover the marsh with beach and offshore sand. 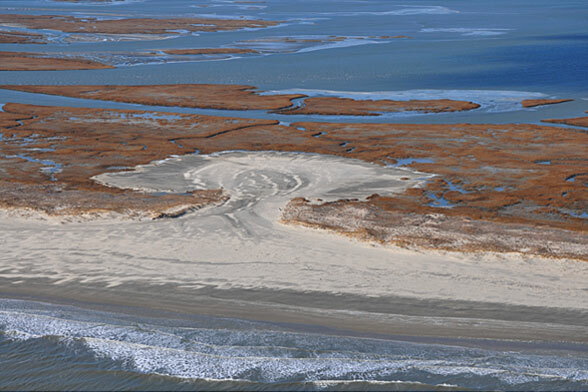 The process of overwash allows island to migrate towards the mainland by removing sand from the front of the island and adding it to the back. Examining the seashells on the beach gives another indication that the island is moving toward the mainland. The dominant shell species on the beach are back-barrier fauna, such as oysters. These organisms lived in the estuary behind the island before they were buried by the island migrating toward the mainland. As the island migrates landward, these shells become exposed in the surf zone (where waves break). With each storm that passes, they are churned up and transported onto the beach. The dark colors of the shells indicate that they have not been exposed to the sun for long periods of time. 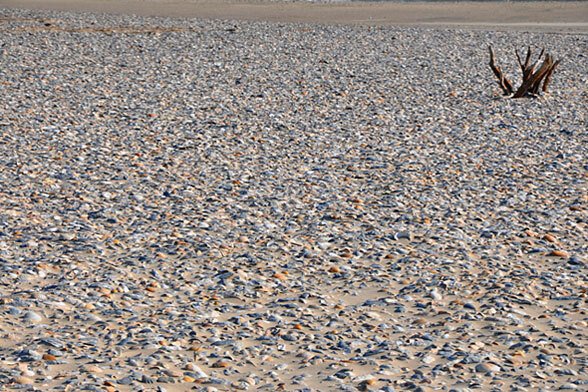 The large number of shells also highlights the lack of any public access to this beach. Months go by without much human activity at all making it a prime nesting site for the federally threatened piping plover. The pristine condition of Assawoman Island make it Beachcare.org’s June 2009 Beach of the Month.